Chanelle Wangari, poses with her trophy after winning the girls under 7 category at the Africa junior championships in South Africa. Armed with a club Chanelle Wangari swings and hits the ball, she tilts her head as she follows her shot as she teed off at the Zebula Golf Estate in South Africa. 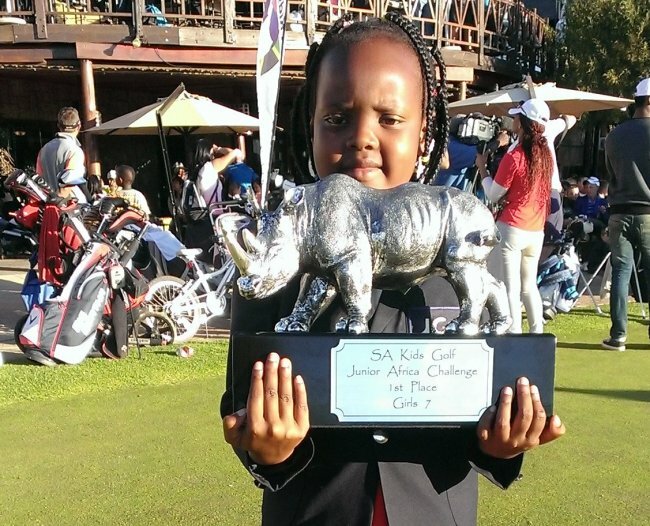 The seven year old steadily went through these motions through the course during the African Junior championships, that kicked off on September 1 through to 5 in her quest for golfing honors. At the end of intense three day rounds of golfing at the continental event, Wangari topped the score sheets posting 52, 43 and 42 in her final round for a unassailable total of 137.
. She becomes the first non-handicapped Kenyan junior to win an international event, joining the country’s young talent pool following on her mentor the trailblazer Naomi Wafula. 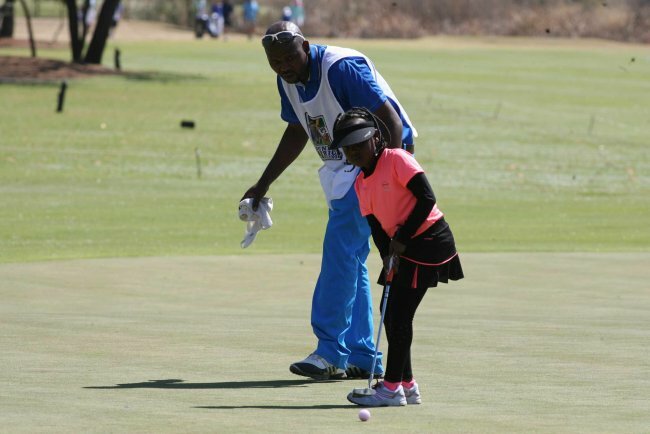 Wafula, 16, is the leading Kenyan female golfer who began golfing at the age of 6. An impressive solid start as she now prepares to showcase the country’s young golfing talent at the 2015 U.S Kids World Junior Championship in Pinehurst, USA where over 150 girls are expected to compete and the European Junior Tour Challenge in Scotland also set for next year.